Also in our family are all sorts of renewals. 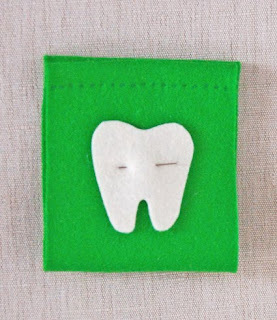 I have many nieces and nephews, now many are approaching the "Tooth Fairy" age. What a cool time in a child's life! 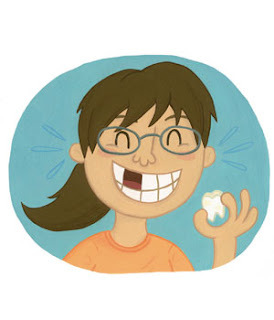 Personally, I can remember constantly wiggling that tooth loose just to get all the coins from the Tooth Fairy! So I wanted to just post a tutorial from one of my favorite spots: Purlbee! 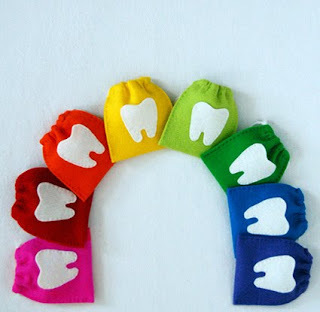 Here's a great and colorful way to help the Tooth Fairy find that loose tooth - and also a great way to keep all those coins, as well. Here's "Molly's Sketchbook: Tooth Fairy Bags"
Here's the finished pieces (above) and they are just so darn cute that I just can't believe it! So simple to make as well. It's a truly easy project, no sewing machine is even required; just a few stitches here and there and it's done! Below, are a few photos from the complete tutorial at Purlbee.com. Just click on the links provided and see the entire post. 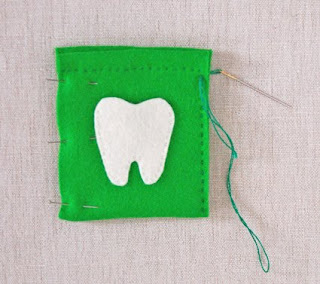 They even provide the template for the tooth pattern as well. I just adore that site and I'm sure you will, too! Personally, I hope the kids don't start pulling out their teeth like I did... 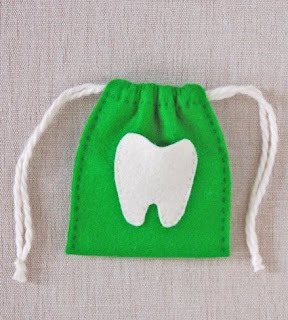 I'm trying to buy some time to get all my felt supplies to make a few of these bags!